Large and even many small marine vessels have on-board electrical systems to power accessories including radios, navigational equipment, lights, pumps, refrigeration devices, battery chargers, and the like. 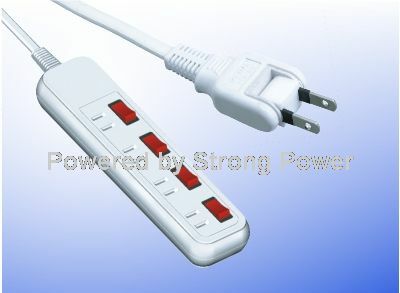 The most common way of providing a ship-to-shore power connection is through the use of a shore power cord. The shore power cord provides a temporary butsecure electrical connection between a land-based alternating current (AC) electrical source and a vessel's on-board electrical system. When power is needed on a docked boat, a shore power cord is used to connect the power source to thevessel. 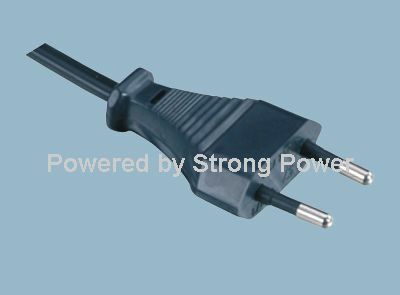 A conventional shore power cord includes a length of flexible, multi-conductor cable (e.g., hot, neutral and ground wires) having a watertight molded plug and connector at respective ends. The male plug is inserted into the land-basedreceptacle while the female connector is received by and locked to a charger or power inlet mounted to the vessel. The neutral wire is tied to earth, or shore, ground at a land-based power source(such as a circuit breaker) and provides a return path for the alternating current supplied by the hot wire. The ground wire is a redundant path to ground to help prevent electrified equipment and/or stray currents if any electrical accessories,conductors, or connections malfunction. As such, the grounding wire should not conduct electrical current during normal operation. The negative post of the vessel's DC system is, by convention, tied to the vessel's bonding system. Therefore, in a vessel which is properly wired to utilize a shore power connection,the shore-based grounding circuit is electrically coupled to some or all of the underwater metal components of the vessel including propellers, shafts, rudders, outdrives, through-hull fittings, and the like. Though necessary to provide AC and DCleakage current a safe path to ground, the connection of the shore ground wire to the vessel's DC grounded circuit has the potential to create problems with galvanic and electrolytic corrosion. If one of the vessels has any metal hardware dissimilar to the metal hardware on the neighboring vessel,a wet-cell battery effect is formed. The less noble metal hardware (e.g., an aluminum outdrive) of one vessel acts as a negative plate while the more noble hardware (e.g., a bronze rudder) of the second vessel acts as a positive plate. The surroundingseawater serves as an electrolyte and an electrical current is generated across the grounding wire of the shore power cord. The problem of electrolytic corrosion is similar to galvanic corrosion. In the case of electrolytic corrosion the degradation of the underwater metals is accelerated by a stray DC current emanating from one of the vessels. This may be causedby faulty wiring, a poorly grounded on-board appliance, etc. Electrolytic corrosion is often indiscernible from galvanic corrosion, and in fact the term galvanic corrosion is sometimes used to describe either type of corrosion. Therefore, what is needed is a device that senses and alerts a vessel owner to the existence of a DC current on the grounding leg of theshore power cord. By doing so, excessive galvanic and/or electrolytic corrosion could be prevented by identifying a vessel operator of highly corrosive environments or conditions. Galvanic isolators, are devices installed in series with the grounding wire of the shore power cord to block low voltage DC galvanic current flow while still permitting the passage of alternating current normally associated with the groundingwire. In doing so, a galvanic isolator allows the grounding leg of the shore power system to operate as a redundant path for return (ground) currents while preventing the conduction of DC currents normally associated with galvanic corrosion. However,galvanic isolators are often installed only after an appreciable level of corrosion has already occurred.